Published June 21, 2018 by admin. When it comes to skin conditions, leading skin expert Sue Ibrahim at Elan Medical Skin Clinic in Essex understands the emotional upset they can cause. And psoriasis is no exception. Psoriasis is a common inflammatory skin disease affecting 2% of the population. It occurs equally in men and women, can appear at any age, and tends to come and go unpredictably. It is not infectious and it does not scar the skin although sometimes it can cause a temporary increase or reduction in skin pigmentation. Psoriasis can affect the nails and the joints as well as the skin. About half of people with psoriasis have psoriasis affecting the nails. For people with moderate to severe psoriasis about one in three will develop psoriatic arthritis at some time. Published December 11, 2017 by admin. Fit your own oxygen mask first in 2018. 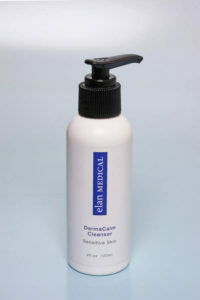 If you have a skin condition that is causing you distress, talk to Sue from Elan Medical Skin Clinic in Rayleigh, Essex. In a mid-air emergency, we are always told to fit our own oxygen mask first. This is to ensure we are able to help our loved ones in a calm, considerate and efficient manner – whilst being able to breathe ourselves! It may sound selfish but it is absolutely essential – and not just in a life or death situation. If our own wellbeing isn’t being cared for, our ability to give our love to others is diminished, says nurse consultant in dermatology, Sue Ibrahim. If we are dealing with a skin condition on top of all of life’s other stresses and strains, chances are the skin condition will worsen if it is ignored or put to the bottom of our list of things to sort. Does this sound familiar? Published December 7, 2017 by admin. 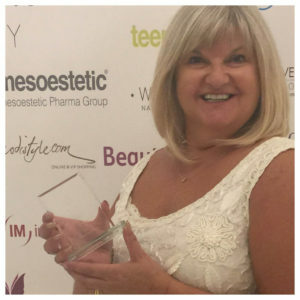 For expert skin advice in Essex – ask Sue at Elan! Elan Medical Skin Clinic’s skin expert Sue Ibrahim. Our skin is the largest organ of our body, with a total area of about 20 square feet. It protects us from microbes and the elements, helps regulate our body temperature and permits the sensations of touch, heat and cold. Twenty square feet is a lot of area for things to go wrong, imperfections to show, maintenance to cover. 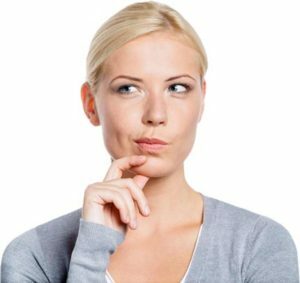 But don’t fear, our nurse consultant in dermatology, Sue Ibrahim at Elan Medical Skin Clinic in Rayleigh, Essex has your skin covered! We take exercise to improve our heart. We keep our brains active. We check our diet to ensure our digestive organs stay fit. But our skin often takes the brunt of external and internal abuse. Published July 11, 2017 by admin. Skin rashes, itchy skin and general lumps and bumps seem all the more noticeable and irritating during the summer when our skin is bared to the world. The team at Elan Medical Skin Clinics in Rayleigh, Essex and central London is led by Sue Ibrahim, a consultant nurse with more than 30 years’ dermatology experience. Sue knows skin, simple as that. She understands how certain health and skin problems can make you feel unhappy and self-conscious and what can be done to help alleviate your symptoms. From acne, acne scarring, rosacea, melasma and psoriasis, to mole and cyst removal and treatments for dealing with excessive sweating, Sue uses the latest technology and up-to-date approaches to ensure the best results.